These days, we know Arnold Schwarzenegger as a Terminator, a Governator, and a guy who had a secret kid with his former housekeeper. But back in the ’70s, he was just a ridiculously muscular dude from Austria who liked to hang out on Venice Beach and get even more muscular as the normals gawked and cheered. 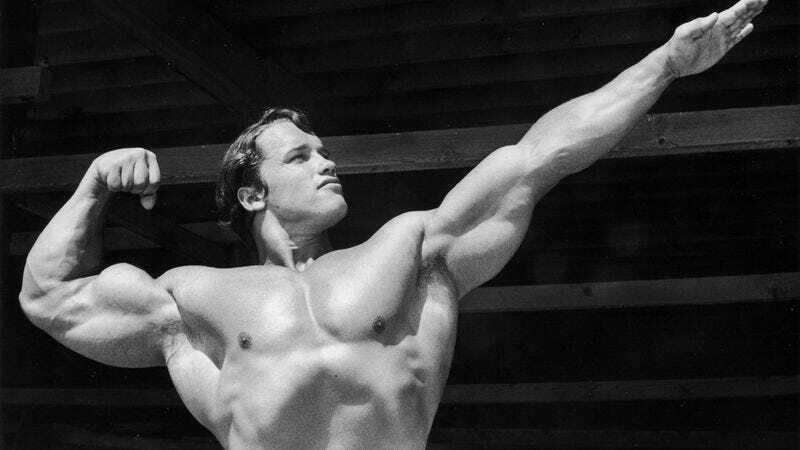 Now, Schwarzenegger has found a way to return to those salad (or whatever crazy stuff he was eating) days in the form of a new TV series inspired by his life as a weight-lifting, hard-partying beefcake. That comes from Deadline, which says the series will be titled Pump and will revolve around “a small group of bodybuilders” in 1973 who “birthed the physical fitness industry.” Rather than just being a drama about some hunks trying to convince people that going to the gym is cool and fun, it’ll also take time to show off that these bodybuilders lived “a life of hedonism and adventure”—making this whole thing sound a bit like a super buff version of Entourage. Schwarzenegger is producing Pump, and in a statement, he explained that the ’70s were “a colorful” and “transformational time” for both him and the United States as a whole, and he’s looking forward to “bringing that color to people’s living rooms with the fantastic, deep characters and the multi-layered story lines of Pump.” The series is currently being developed by CBS Television Studios, but Deadline‘s story doesn’t specify whether it will air there.